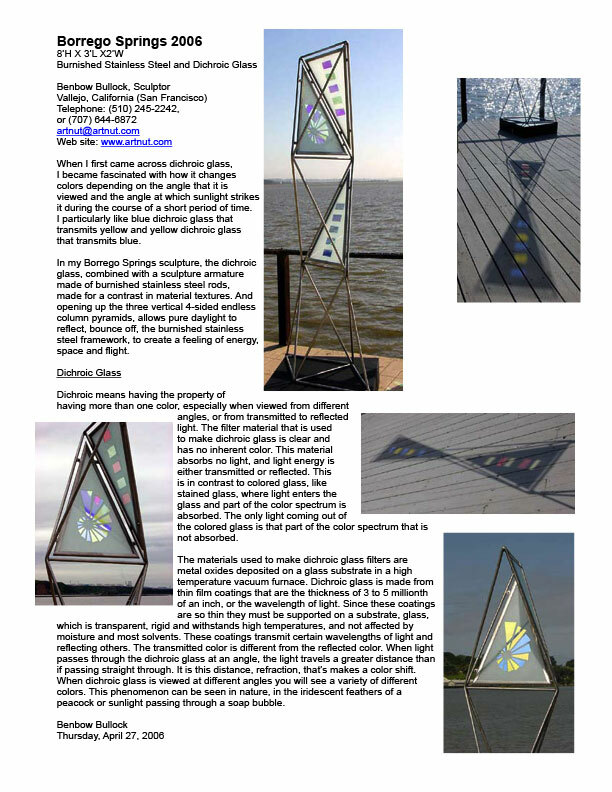 NASA developed dichroic glass for use in satellite mirrors. It is also used on windshields of spacecraft, aircraft and automobiles to deflect unwanted light and heat. It is an anti-reflecting coating used on eye glasses. In nature, you can see the characteristics of dichroic glass thin-film coatings in the constantly changing iridescent bright colors of peacock feathers in the sun, oil slicks on water, soap bubbles, and on the wings of dragonflies flitting over a pond. The brilliant optical properties of dichroic glass are produced by multiple micro-layers of metal oxides, three to five millionths of an inch, in thickness. The same as wavelengths of colors in the visible spectrum of light. Selected wavelengths of light can be transmitted, or reflected, causing an array of colors to be visible. 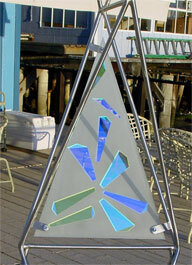 Dichroic glass is very efficient, reflecting or transmitting over 95% of the light energy it receives. 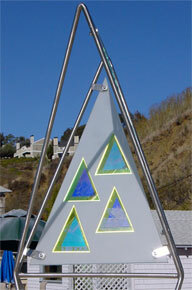 In contrast, stained glass absorbs all colors, except the selected color to be seen. 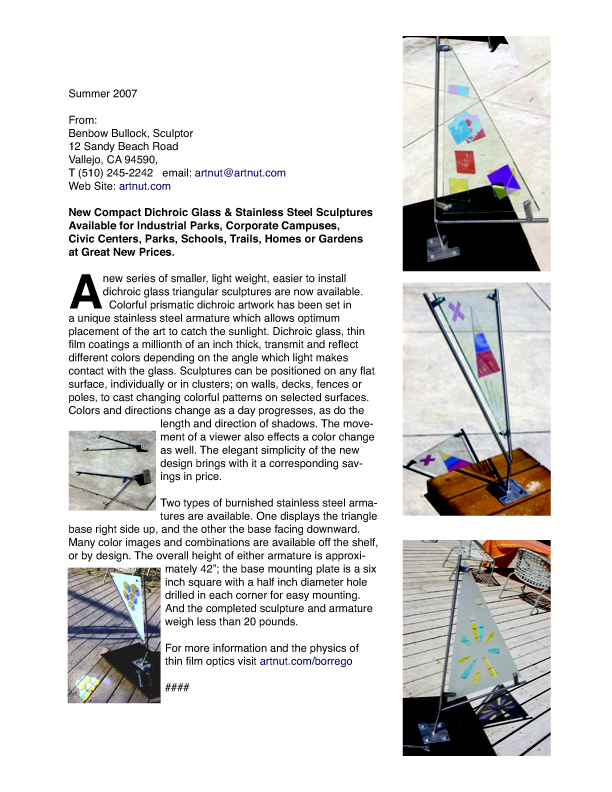 Dichroic glass sculptures are beautiful and awesome!